AquaTek Plumbing, Inc. is currently seeking an experienced (3+ years) person to perform leak locations, pipe locations and camera surveys. Previous experience an absolute must. 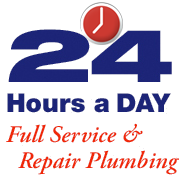 AquaTek Plumbing, Inc. is currently seeking an experienced Service & Repair Plumber to join our team. Ideal candidate will have a minimum of 3 years experience, clean DMV, and a clean/neat appearance. We supply the service truck. You must have your own hand tools and be available to do 24-hour ‘on call’ rotation approximately every six weeks. AquaTek offers a competitive hourly wage, medical, dental and retirement benefits after a probationary period. We are an equal opportunity employer. (PLEASE BRING DMV PRINT OUT) or call 408-295-7767 M-F, 8am to 5pm.